President Donald Trump is pulling all 2,000 U.S. troops out of Syria, officials announced Wednesday as the president suddenly declared victory over the Islamic State, contradicting his own experts' assessments and sparking surprise and outrage from his party's lawmakers who called his action rash and dangerous. "We have defeated ISIS in Syria, my only reason for being there during the Trump Presidency," he said as Vice President Mike Pence met with top leaders at the Pentagon. U.S. officials said many details of the troop withdrawal had not yet been finalized, but they expect American forces to be out by mid-January. Later Wednesday, Trump posted a video on Twitter in which he said it is "heartbreaking" to have to write letters and make calls to the loved ones of those killed in battle. "Now it's time for our troops to come back home," he said. Trump's declaration of victory was far from unanimous, and officials said U.S. defense and military leaders were trying to dissuade him from ordering the withdrawal right up until the last minute. His decision immediately triggered demands from Congress — including leading Republicans — for more information and a formal briefing on the matter. Sen. Lindsay Graham of South Carolina, just returned from Afghanistan, said he was meeting with Defense Secretary Jim Mattis late in the day. The decision will fulfill Trump's long-stated goal of bringing troops home from Syria, but military leaders have pushed back for months, arguing that the IS group remains a threat and could regroup in Syria's long-running civil war. U.S. policy has been to keep troops in place until the extremists are eradicated. "This is, of course, an American decision," he said. No matter what, he said, "we will safeguard the security of Israel and protect ourselves from this arena." Sen. Marco Rubio of Florida said the withdrawal would be a "grave error" and that Kurdish fighters will stop fighting the Islamic State when they must confront Turkish troops crossing the border into Syria. "This is a bad idea because it goes against the fight against ISIS and potentially helps ISIS," he said, warning it could trigger a broader conflict in the region. Trump's national security adviser, John Bolton, said in September that the U.S. would keep a military presence in Syria as long as Iran was active there. 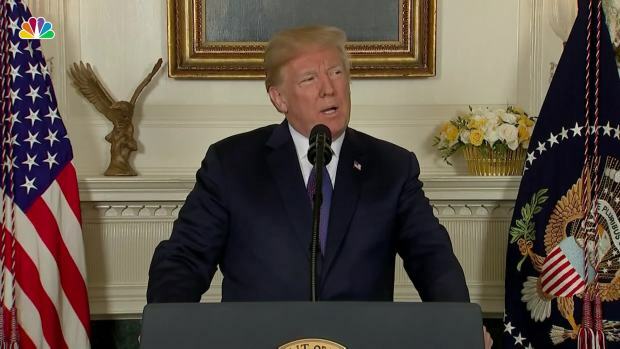 "We're not going to leave as long as Iranian troops are outside Iranian borders and that includes Iranian proxies and militias," he said. James Stavridis, a former Navy admiral who served as top NATO commander, tweeted Wednesday that "Pulling troops out of Syria in an ongoing fight is a big mistake. Like walking away from a forest fire that is still smoldering underfoot. Big winner is Iran, then Russia, then Assad. Wrong move." 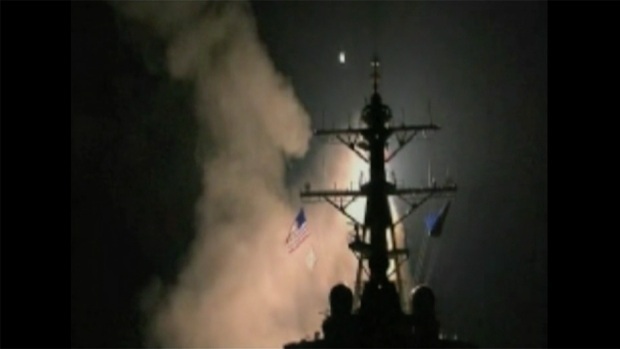 The United States launched cruise missiles into Syria Thursday night, April 6, in retaliation for this week's gruesome alleged chemical weapons attack against civilians. Erdogan said Monday he had gotten "positive answers" from Trump on the situation in northeast Syria where he has been threatening a new operation against the American-backed Syrian Kurdish fighters. Just hours before the withdrawal decision became public, the State Department announced late Tuesday that it had approved the sale of a $3.5 billion Patriot missile defense system to Turkey. The Turks had complained that the U.S. was slow walking requests for air defenses, and they had signed a deal with Russia to buy a sophisticated system in a deal that Washington and Ankara's other NATO partners strongly opposed. Although the withdrawal decision doesn't signal an end to the American-led coalition's fight against the Islamic State, it will likely erode U.S. leadership of that 31-nation effort. The administration had been preparing to host a meeting of coalition foreign ministers early next year. "The bottom line is that the American withdrawal from eastern Syria will create a power vacuum that will lead to a new phase of international conflict in Syria," said Jennifer Cafarella, a Syria expert at the Institute for the Study of War. She predicted that the Russians, the Iranians, Syrian President Bashar Assad and the Turks will compete for the terrain and resources previously under U.S. control "at the expense of" the Syrian Kurds who have partnered with U.S. forces against IS.